Q: When did you know you wanted to be a professional musician? When and how did you get your own start in the music industry? Had you and your sister always played music together? Please tell us a little about what you did prior to The Bangles. Vicki: I had a few different aspirations as a child (nurse, vet, cloistered nun), but music came to me early. At nine I convinced my parents to buy me an electric guitar (a Rickenbacker copy, but with a case that looked just like George Harrison's!) and I took a couple of lessons at the local music store. I soon found that I was very lazy about practicing scales and that writing my own songs was much more fun. I was the annoying kid who brought her acoustic to sleepovers and had a captive audience to audition the latest song. I have three siblings and we were all tuned into AM radio as kids - singing along in the back of the Buick station wagon, trading off harmonies. Debbi, even at a very young age, was especially good at skipping to whatever harmony was lacking in our sing-alongs. It wasn't until high school when I'd started a band with friends and we needed a drummer that Debbi sat behind her first drum set. She was (is) a natural. If we had needed a French horn player, she probably would have nailed that, too. Debbi, our friend Amanda Hills, and I ended up as a trio for a while, and then added a talented young lady named Lynn Elkind on lead guitar. We played clubs in the South Bay of Los Angeles, Santa Monica, Hollywood; we were all underage, so we spent our time between sets locked up in cramped, smelly "dressing rooms". Q: Please also discuss any of your personal musical influences and who molded and inspired the artist you were back in the '80s and have since become. Vicki: It's a long list of inspirational artists, headed off by the Beatles, naturally. I loved bands whose sound was based on vocal harmonies, including the Beach Boys, the Byrds, the Mamas and the Papas, the Cowsills. As a guitar player I loved Joni Mitchell, Paul Simon and Bonnie Raitt. I admired the song-craft of Tin Pan Alley writers and people like Sammy Cahn and Rogers and Hammerstein, but also Lennon-McCartney, Elton John and Bernie Taupin... and then in the early 80s I studied at the Paisley Underground University and learned from my friends. 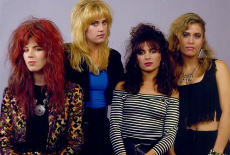 Q: Please tell us a little about when, how and why The Bangles came to be. Your voices blend so perfectly, was that the case right from the start? How did the band's name get chosen and evolve? Please tell us a little about the other members and what each of you brought to the group. Vicki: In late 1980, Debbi and I found ourselves all that remained of our post-high school band, and fortuitously met Susanna Hoffs through an ad in a newspaper. Yes, the first time we met to just see if we clicked, it was slightly magical. Our voices did have a natural blend and we shared that anachronistic passion for music of the '60s. We got the name "The Bangs" from an article on hairstyles in an old issue of Esquire magazine... we soon had to change it because of a New Jersey band (an all-boy band, no less) and thus added the extra consonants. Our first bass player was Annette Zilinskas, who was 19 at the time, lovely and talented, but loved Rockabillly music more than the pop we were writing. We soon found Michael Steele who was purported to be the best female bass player in town, but was actually one of the best, period. Susanna had never been in a real band before, but she was creative and energetic, a good writing partner with an angel's voice. Q: "Manic Monday" was the band's first big pop hit and it was actually written by Prince. How did The Bangles end up recording that song? How was it offered? How did the song evolve as you made it your own? Vicki: Prince apparently saw our "The Hero Takes A Fall" video and became interested in the band, appearing mysteriously at shows and playing an encore or two with us. When we were in the studio, we got a message that Prince had a tape for us. There were two songs on the cassette - one of which was "Manic Monday". I think it was Apollonia, one of his "proteges", doing the vocals on his version. He told us we could just use the tracks and replace the vocals, but of course we tracked it ourselves from scratch. Q: Did you ever get any feedback from Prince to find out what he thought of your recording? Vicki: Prince came to a rehearsal before the song came out and gave us the thumbs up (even though there was no keyboard player that day and I was playing the harpsichord figure on the guitar...and not well, I might add). Q: Then you had a worldwide hit with "Walk Like an Egyptian". What can you share with us regarding how this song was conceived and created? How was it decided that you'd sing the first verse of the song? Vicki: This song was written by Liam Sternberg and its provenance is still a mystery to me. All I know is that David Kahne, our producer at the time, showed up at rehearsal with a tape of a demo of the song, sung with a droll charm by Marti Jones. I realized that we were never gonna write a song like that and there was nothing remotely like it on our album so far (or anywhere else, for that matter) and I agreed to try it in the studio. We had a sing-off for the verses, with Kahne as head judge. Don't know that I'd ever do it that way again. Q: Again, did you have any feeling that this song might become the hugely successful pop hit that it did? 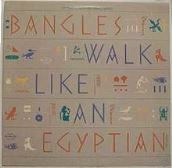 What were your feelings about "Walk Like an Egyptian" when you first recorded it? What are your feelings about the song now 27 years later? Vicki: I really didn't think the label would release it, but I did have a feeling that if they did, it wouldn't be ignored. There was a period in the '90s, when I was living in New Orleans and playing with the Continental Drifters, when I could not imagine myself ever singing the song again. Now, though, when we go out and finish the night with it, it's a blast. People just love it and have so much fun. Q: How about the other hits from that album like "If She Knew What She Wants" or "Walking Down Your Street"? Any comments or details about those? Vicki: "If She Knew What She Wants" is a smart, thoughtful song by the smart and thoughtful Jules Shear. I liked the idea of the vocals being performed in a call-and-response structure, and enjoyed the process of slightly changing Jules' original arrangement - which I always have to remember whenever I have the privilege of singing the song with Jules. Different Light was released in January of 1986. It eventually went 3x platinum and reached #2 on the Billboard album chart. Including to the two covered earlier, it included four hit singles including "If She Knew What She Wants" which reached #29 in July of 1986 and "Walking Down Your Street" which reached #11 in April of 1987. 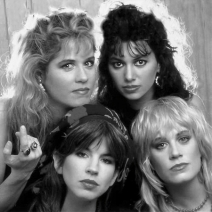 The Bangles were as hot as any band in pop music at that time. Q: Were you prepared for attention and all of the other things that come with the pop stardom? 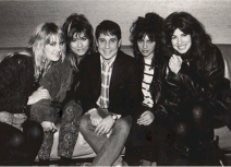 What are some of your best memories and coolest things you were able to do at the height of popularity for The Bangles? Vicki: It was a bit of a surprise that many of the things we were asked to do following the album's success had absolutely nothing to do with music. My favorite moments were when we were thrown in with other musicians (during a TV show or awards celebration) and I could feel like a peer to some of my musical heroes. Q: Your videos received lots of exposure on MTV back then. Did you enjoy making the music videos back then? What do you remember about working with Gary Weis, who directed a couple of your videos, and how those videos were made? Vicki: I just ADORE Gary Weis. The Rutles was a big favorite of mine and I was so excited to be working with its director. I enjoyed working on his videos in particular, although the video for "Egyptian" was sort of smashed into a tour schedule and was a bit chaotic. We worked with a choreographer in Florida and then shot the performance bit in New York City. The way I remember it, Gary just went out into the streets and grabbed people and had them "walk like Egyptians" all while we were getting into costume for the performance/dance bits. Q: You had another hit with "Hazy Shade of Winter" for the Less Than Zero soundtrack. Was that single recorded specifically for the film? How did you choose that particular song? It has an edgier sound to it than your earlier hits. What impact did Rick Rubin have as producer on this single? Vicki: We did record that especially for the film; it was a song we'd had in our early club set, and it was a challenge to do it differently from Simon and Garfunkel's original 12-string acoustic version. Working with Rick Rubin was an experience - his partner at the time was the talented George Drakoulias, who ended up finishing the track with us after Rick left. I don't think Rick liked the intro we did - that sort of ethereal "time time time..." and we ended up producing the cut as a group, which was a first for us. The Bangles followed up their Different Light album with Everything released in late 1988. This album went platinum featuring two more hit singles with "In Your Room" which reached #5 on the Billboard Hot 100 and the band's second #1 hit. "Eternal Flame" reached #1 on the Billboard Hot 100 in April of 1989 and also reached the top of the chart in seven other countries. This hit single is also discussed in my interview with the song's co-writer Billy Steinberg. Despite another platinum album and another worldwide #1 hit, the band had tension and difficulties working together and decided to go their separate ways in late 1989. The Bangles later reunited in 1999. Q: What do you remember best about the decade of '80s music? (If at all) How do you personally deal with and keep the '80s alive and in perspective? Vicki: What I remember is feeling a bit out of sync with the music of the '80s, most of it anyway. A lot of what was happening didn't move me, although there was some wonderful music made, too. I loved XTC and REM (all the acronym band names), Squeeze, Tears For Fears... okay, I've changed my mind. I liked a lot of '80s music. And I love how many people are currently rediscovering the music, and have such an enthusiasm for it. I don't try and keep the 80's alive; I'm too busy trying to live in the 21st century. And perspective is everything! Q: Please tell us a little about where your music career has taken you since that time. How have your priorities or goals changed over the years? What is the current status of The Bangles? Vicki: The '90s found me in New Orleans where I received a helluva musical education. Playing in the Continental Drifters remains one of my favorite experiences - a return to the idea of playing for its own sake, for the sheer pleasure of doing so. 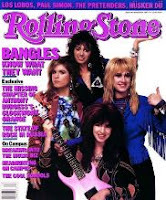 We Bangles have, since the turn of the most recent century, made two new records ('Doll Revolution' and 'Sweetheart of the Sun') and have toured sporadically in the U.S., Europe, Japan and Australia. This year is a bit of a gap year for us, but I'm hoping to get back out on the road in 2014. 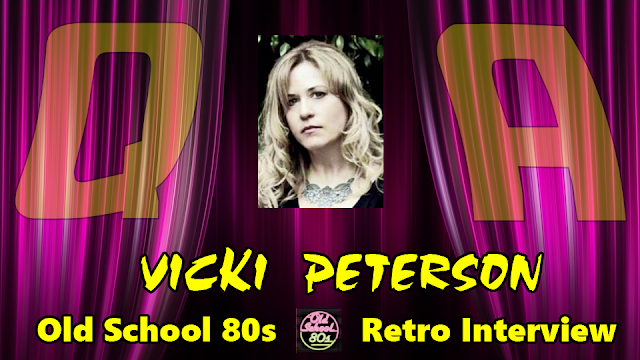 Q: What else is Vicki Peterson up to nowadays? Musically and otherwise? What can we expect in the future? 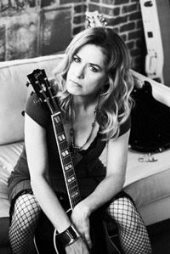 Vicki: I've been pursuing a few non-musical writing projects of late, as well as performing the occasional solo acoustic show. I also have a record with my sister-in-law, Susan Cowsill in the works, the long-awaited (by the two of us, anyway) first Psycho Sisters album. We're in the mixing stage on that one. My husband, John Cowsill, has been trying for years to get me to sit down in the living room and sing songs with him, and I think he's onto something there. We sound lovely together and we will be exploring what that can lead to. Why not? I am so honored that Vicki was able to take some time to answer some questions so I could share them with you here. Special thanks to Delle Beganie who helped coordinate the opportunity. You can keep up with The Bangles on their official TheBangles.com website. I want to take this occasion to again thank Vicki Peterson for her contributions to '80s pop culture especially through The Bangles and, even more, for going back to the '80s with us here for a little while as well.